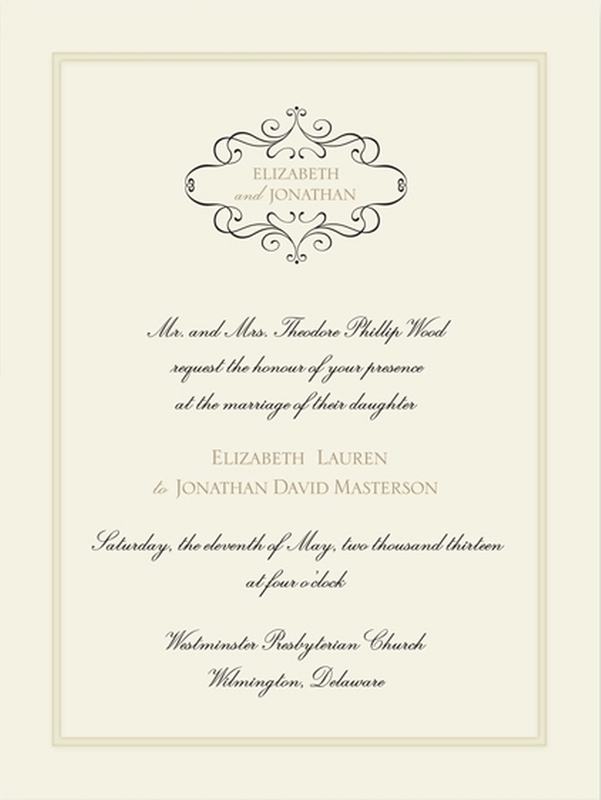 A beautiful iridescent pearl band creates a sophisticated and elegant style. 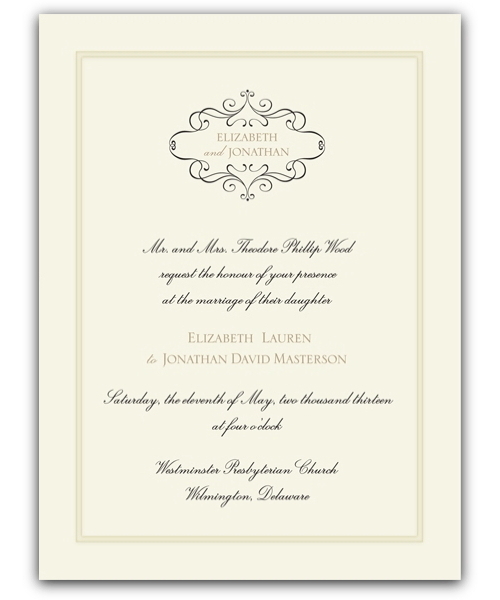 The dimensions of this card are 5 5/8" x 7 1/2"
A beautiful choice! 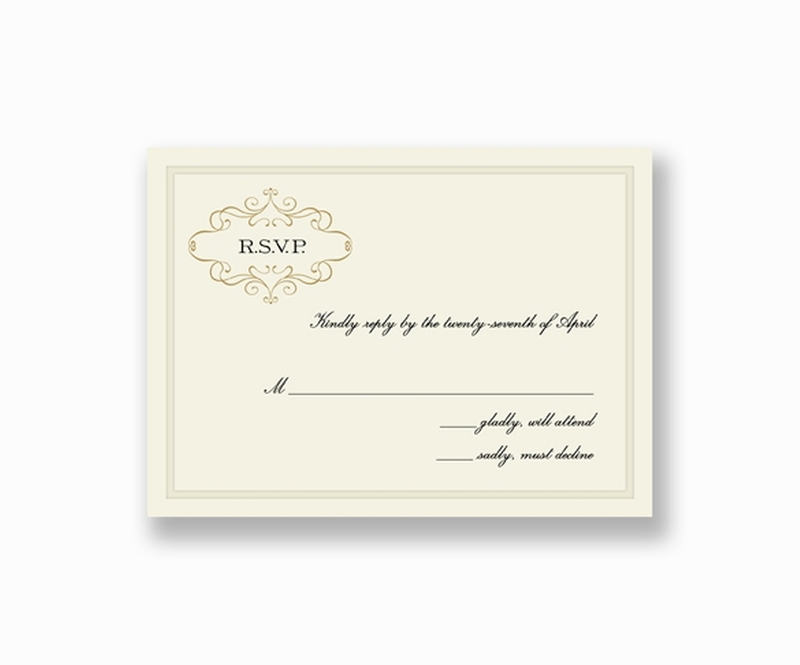 It can be done in a very classic style or with a modern twist. 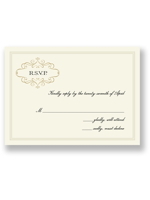 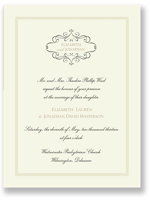 There is a matching pearl envelope lining which compliments the pearl band frame of this invitation particularly well. 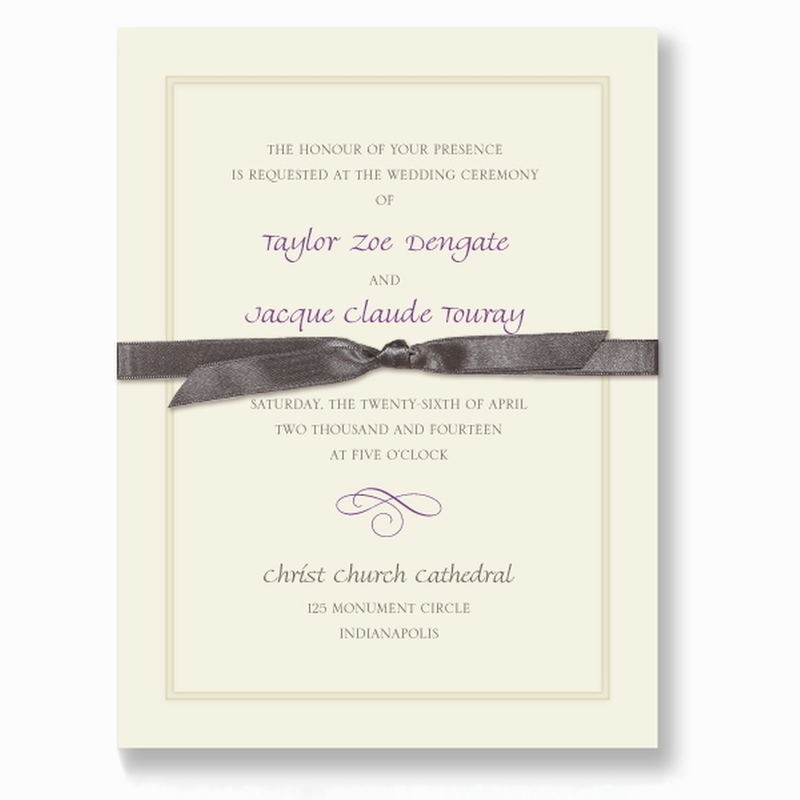 This card is often produced with a bow wrap, we have examples in the studio of both options. 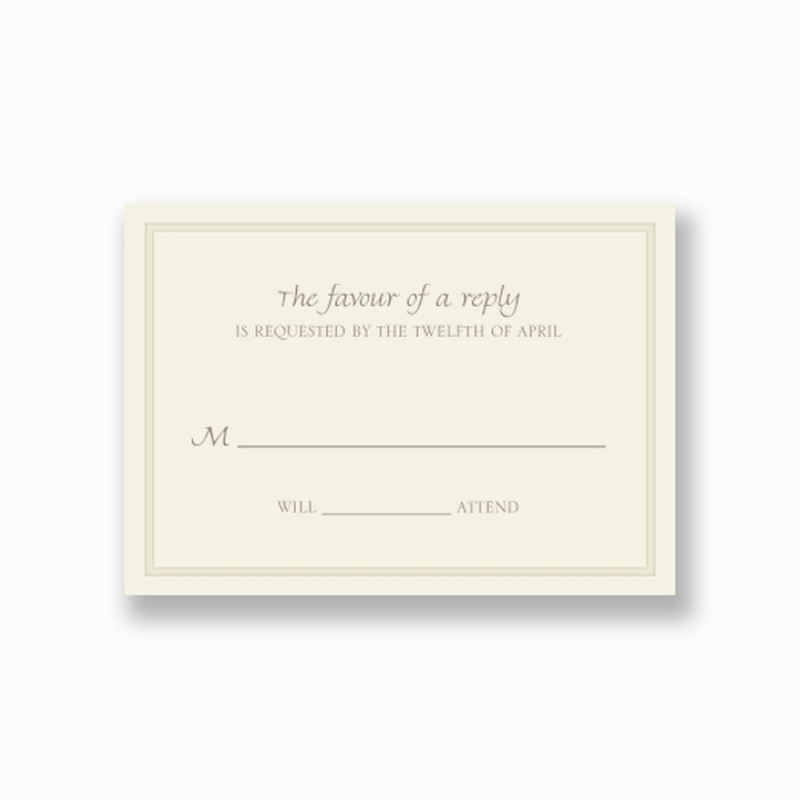 Our studio album has an example of this card using Mulberry Ink combined with Taupe. 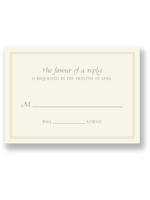 Mulberry, when used for Bride & Groom names is definitely a pretty choice as an accent colour and is worth considering. 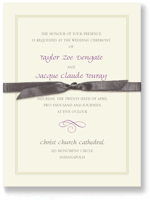 Available in Ecru only but with a vast range of fonts, ink colours and envelope liners to choose from.